ECUSA-DC engloba a científicos de las áreas de Washington DC, Maryland y Virginia. Este capítulo se caracteriza por ser la sede de los fundadores de ECUSA. Además, es el capítulo más relacionado con las instituciones gubernamentales de EEUU, pues en el área están las sedes nacionales de organismos como el NIH, la NASA, la oficina de patentes, la FDA, la USDA, o la EPA, entre otras muchas, con presencia de científicos españoles. Además de instituciones como Smithsonian, WWF, The Nature Conservancy, y universidades de enorme prestigio internacional, como las de Georgetown, Maryland, George Washington, George Mason o John Hopkins, entre otras. El capítulo de ECUSA-DC ya cuenta con más de 100 miembros. ECUSA-DC comprises scientists from the areas of Washington DC, Maryland y Virginia. This chapter is characterized for being the headquarters of the ECUSA founders. In addition, this chapter is the most associated with federal government institutions such as NIH, NASA, USPTO, FDA, USDA or EPA among many others with Spanish scientists presence. There are also institutions such as Smithsonian, WWF, The Nature Conservancy and internationally renowned universities such as Georgetown, Maryland, George Washington, George Mason or John Hopkins University among others. ECUSA-DC chapter counts currently with more than 100 members. Doctora en fisiología molecular por la Universitdad Pompeu Fabra especializada en canalopatías. Actualmente trabajando como investigadora post-doctoral en la Universidad Universidad de Wisconsin-Madison. Interesada en el campo de la biofisica de canales ionicos voltage-dependientes y en concreto en entender el mecanismo de transducción de voltaje de estas proteinas de membrana. Ph.D in Molecular Physiology by University Pompeu Fabra specialized in channelopathies. Currently she is working as a post-doctoral fellow at University of Wisconsin-Madison. Interested mainly in the biophysics of voltage-dependent ion channels her research is nowadays focused in understanding the voltage-transduction process in those membrane proteins. Jorge obtuvo su doctorado en Neurociencia Clínica en King’s College London en 2017. Ahora investiga los mecanismos por los que las neuronas, las células en el celebro, se mueren en el cerebro de pacientes con enfermedades neurodegenerativas como el Alzheimer o la ELA. Para ello emplea técnicas de modificación genética y células madre pluripotentes para crear neuronas humanas en un tubo de ensayo y así poder probar nuevos fármacos. Jorge obtained his PhD from King’s College London in Clinical neuroscience in 2017. He currently researchers the mechanisms by which neurons, the cells in the brain die. This is particularly important in patients with neurodegenerative diseases such as Alzheimer’s and ALS. To study this, he uses gene editing techniques and pluripotent stem cells in order to generate human neurons in a dish and test novel drugs. Doctora por la Universidad de Murcia (Departamento de Fisiología Animal), actualmente trabaja como investigadora post-doctoral en el Centro de Neurociencias del Hospital Children’s National en Washington DC. Ha publicado artículos científicos en diversas patologías de actualidad biomédica como el autismo, el cáncer o la obesidad. Con un interés en salud pública y medio ambiente, es «Chair de Neuropolicy» en la «Society for Neuroscience» en Washington DC (Sfn-DCMA). Maria obtained her PhD from the University of Murcia in Spain (Department of Animal Physiology), she is currently working as a post-doctoral researcher at the Center for Neurosciences of Children's National Medical Center in Washington DC. She has published scientific papers in various pathologies of current biomedical concern such as autism, cancer or obesity. She is interested in public health and environment, and she is the Neuropolicy Chair for the DCMA Society for Neuroscience in Washington DC (Sfn-DCMA). Patricia es doctora en Farmacología por la Universidad de Valencia. Fue investigadora postdoctoral en New York University y en el National Cancer Institute (NIH), donde investigó mecanismos moleculares de resistencia al cáncer. Actualmente trabaja en el área de la genética del cáncer desde una perspectiva clínica./Patricia holds a PhD in Pharmacology from the University of Valencia. She was a postdoctoral fellow at New York University and the National Cancer Institute (NIH), where she investigated molecular mechanisms of cancer resistance. She currently works in the field of cancer genetics from a clinical perspective. Licenciado en Bilogía Molecular, hizo la tesis doctoral en el Departamento de Fisiología humana de la Universidad de Murcia. Actualmente lleva cinco años como Postdoctoral Fellow en la división de Nefrología en la Universidad de Maryland, Baltimore. Su campo de investigación es el estudio de la fisiopatología cardiovascular y renal en el marco de las enfermedades cardiovasculares asociadas ahipertensión y síndrome metabólico./ Bachelor in Molecular Biology, he obtained his doctoral degree from the Department of Human Physiology at Murcia University. For the last five years he has been a Postdoctoral fellow at the Nephrology division of the Maryland University in Baltimore. His area of expertise is the cardiovascular and renal physiopathology in the frame of cardiovascular diseases associated with hypertension and metabolic syndrome. Científica de investigación especializada en Microbiología Medioambiental con más de cinco años de experiencia postdoctoral en estudios de biodiversidad, procesos de biodegradación, optimización enzimática y biología molecular. Doctora en Microbiologia del suelo por la Universidad de Extremadura, investigadora postdoctoral en la universidad de Minnesota y la USDA (Departamento de Agricultura en EEUU) y científica en investigación y desarrollo en Abengoa Bioenergy New Technologies/Research Scientist specialized in Environmental Microbiology, with more than 5 years of postdoctoral experience in biodiversity studies, biodegradation processes, enzymes improvement, and molecular biology. PhD in soil microbiology (University of Extremadura, Spain), former postdoctoral researcher at the University of Minnesota and the USDA (United States Department of Agriculture), and R&D Scientist in Abengoa Bioenergy New Technologies. Ingrid es Licenciada en Biología y en Bioquímica por la Universidad de Navarra y tiene doble especialidad en Biología Fundamental y Sanitaria; y en Genética y Biología Molecular también por la Universidad de Navarra. Obtuvo la certificación en Liderazgo en estudios de caso de toma de decisiones en Salud Pública por la Universidad Johns Hopkins. Científica de investigación de cáncer, trabajó en el proyecto de miRNAs asociado al proceso de metástasis del osteosarcoma infantil en la Clínica Univesidad de Navarra y en el CIMA (Centro de Investigación Médica Aplicada). Actualmente trabaja en el departamento de Finanzas y Mercados del Banco Mundial desde mayo de 2012. Ingrid también sigue ejerciendo su pasión por la enseñanza en su tiempo libre. / Ingrid holds two Bachelor´s degree in Biology and in Biochemistry from the University of Navarre, and holds two specialties in Health Biology; Genetics and Molecular Biology also by the University of Navarre. She obtained a certification in Leadership Case-Studies in Public Health Decision-Making by Johns Hopkins University. She worked as a cancer research scientist in the miRNAs in the metastases process in pediatric bones sarcomas project at Clínica Univesidad de Navarra, and CIMA (Centro de Investigación Médica Aplicada/Medical Research Center). Professor of Genetics at University of Navarre. She is currently working at the Finance & Markets Department in The World Bank Group. Ingrid is still an impassioned professor in her free time. Doctora en Bioquímica por la Universidad Autónoma de Madrid en 2013. Su tesis doctoral se centra en el papel de los canales de potasio de voltaje en canalopatías cardiacas y su modulacion por lípidos. Al terminar el doctorado continuó sus estudios en electrofísiologia cardiaca en la Universidad de Maastricht enfocandose en el síndrome de QT largo. Actualmente trabaja como investigadora postdoctoral en Los Institutos Nacionales de Salud (USA) estudiando el mecanismo molecular por el cual mutaciones en la bomba sodio potasio generan enfermedades neurologicas como la hemiplegia alternante de la infancia. 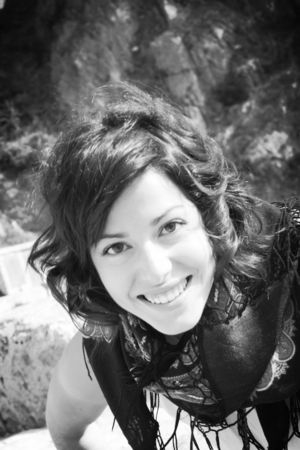 Cristina earned her PhD in Biochemistry in Universidad Autónoma de Madrid in 2013. In her dissertation she investigates the role of voltage gated potassium channels in cardiac channelopathies and its modulation by lipids. After that she continued her studies in cardiac electrophysiology at Maastricht University. At the moment she is working as a postdoctoral Fellow at the National Institutes of Health (USA). Her current research topic is the underlying mechanism by which mutations in the sodium potassium pump result in Alternating Hemiplegia of Childhood. Ingeniera de sistemas en GSFC (NASA, SGT) para el instrumento JWST FGS (Guider y NIRISS) y encargada de la prueba fría final del grupo de instrumentos antes de su integración con el telescopio. Doctora en Astrofísica (Jodrell Bank, UK) especializada en el estudio de galaxias espirales./Systems Engineer at GSFC (NASA, SGT) for JWST FGS (Guider and NIRISS) and test director for the last cryo-vacuum test before the integration of the instruments with the optical telescope. PhD in Astrophysics (Jodrell Bank, Manchester Univ., UK) working on the study of spiral galaxies. Estrella Durá. Secreataria del capitulo de Washington DC desde su fundacion hasta Abril del 2016. Secreatary in the Wasington DC chapter from the fundation of this chapter to April of 2016 . Ingeniero Caminos, Canales y Puertos por la universidad de Granada en 2010. En 2013 obtuvo su máster en Ingeniería de Costas y Puertos de la universidad de Cantabria en colaboración con el Instituto de Ingeniería de México (UNAM). Actualmente está en su primer año de doctorado en el departamento de Ingeniería civil, medio ambiente e infraestructuras de George Mason University. Su investigación se centra en el análisis y modelado de procesos aerodinámicos en la Bahía de Chesapeake, especialmente en el marejada meteorológica./ He earned his BS. Civil Engineering at University of Granada, Spain in 2010 and his Master Degree in Coastal and Ports Engineering at University of Cantabria and Engineering Institute of University of México, (UNAM) in 2013. He is a first year Ph.D student in the Department of Civil, Environmental & Infrastructure Engineering at George Mason University. His research topic is focused on understanding and modeling the hydrodynamic processes in Chesapeake Bay, and specially the storm surge phenomenon. Bióloga molecular y biotecnóloga por la Universidad de Santiago de Compostela (2003) y doctora en neurociencias por la Universidad Autónoma de Barcelona (2007). Trabajó como investigadora postdoctoral en laboratorios de investigación del CNRS y del INSERM en París (Francia), y más tarde en el NIH y en el Centro de Neurociencias y Medicina Regenerativa (Bethesda, MD), investigando nuevas terapias para recuperarse de daños cerebrales. En la actualidad Dra. Villapol es neurocientífica y profesora en el Departamento de Neurociencias de la Universidad de Georgetown (Washington DC)./ Dr. Villapol graduated from the University of Santiago of Compostela (Spain, 2003) with a Bachelor´s degree in Molecular Biology and Biotechnology, and received her Ph.D. in Neuroscience from the Autonomous University of Barcelona (Spain, 2007). She worked as a postdoctoral fellow at CNRS and INSERM in Paris (France), and later at both the NIH and Center for Neuroscience and Regenerative Medicine in Bethesda, MD, investigating novel therapeutic strategies for recovery after brain injury. Dr. Villapol is currently an Assistant Professor in the Department of Neuroscience of the Georgetown University (Washington DC). Licenciada en Biología por la Universidad de Jaén y Doctora en Bioquímica y Biología Molecular por la Universidad Complutense . Realizó su investigación postdoctoral en los Institutos Nacionales de Salud en U.S. en el área de Malaria Genomics. Ha trabajado en el sector privado como Cientifico Principal en GlaxoSmithKline (descubrimiento de nuevos fármacos antimaláricos) y posteriormente en GeneDx Inc. (diagnóstico genético de enfermedades raras). Pepa trabaja actualmente en la U.S. Food and Drug Administration como evaluadora en calidad farmacológica./ Bachelor in Science by University of Jaén and PhD in Biochemistry and Molecular Biology by Complutense University. Postdoctoral researcher at the U. S. National Institutes of Health in the field of Malaria Genomics. She has experience at the private sector as a Principal Scientist at GlaxoSmithKline Inc. (discovery of new antimalarial drugs) and later at GeneDx Inc. (genetic testing for rare hereditary disorders). Pepa currently serves at the U.S. Food and Drug Administration as pharmaceutical quality reviewer. La Dra. Paula Saá se graduó en Bióloga por la Universidad de Vigo y obtuvo su doctorado en Biología Molecular por la Universidad Autónoma de Madrid, habiendo desarrollado su proyecto de tesis doctoral en la University of Texas Medical Branch (UTMB) (Galveston, TX). Paula realizó sus estudios de postgrado en el Scripps Research Institute – Florida (Jupiter, FL), y posteriormente en Boston University (Boston, MA). En 2011, se incorporó a la división de Servicios Biomédicos de la American Red Cross (Rockville, MD) como investigadora principal, donde actualmente desarrolla sus actividades de investigación. Su carrera científica se centra en enfermedades neurodegenerativas transmisibles, así como en enfermedades infecciosas emergentes y reemergentes de transmisión sanguínea; investigando nuevos sistemas de diagnostico y recomendando intervenciones adecuadas a cada situación. /Dr. Paula Saá graduated in Biology from the University of Vigo (Vigo, Spain) and received her PhD in Molecular Biology from the Autonomous University of Madrid (Madrid, Spain), after having developed he doctoral research project at the University of Texas Medical Branch (UTMB) (Galveston, TX). Paula received postdoctoral training at The Scripps Research Institute – Florida (Jupiter, FL), and later on at Boston University (Boston, MA). In 2011, Paula joined the American Red Cross – Biomedical Services (Rockville, MD), where she develops her research activities as principal investigator. Her scientific career centers on the study of transmissible neurodegenerative diseases, and transfusion transmissible emerging and reemerging infectious diseases; investigating novel diagnostics and recommending appropriate interventions as needed. Profesora Titular de Biología en el Community College of Baltimore County, Maryland. Más de 14 años de experiencia dedicada a la enseñanza de biología y la educación a nivel universitario. Licenciada en Biología (Universidad de Sevilla) y Máster en Ciencias Marinas (San Francisco State University, CA). Coordinadora en la zona metropolitana de DC del programa "ECUSA en las Escuelas", promocionando la educación en ciencias, tecnología, ingeniería, y matemáticas (STEM)./ Associate Professor of Biology at the Community College of Baltimore County, Maryland. Over 14 years of experience dedicated to biology teaching and education at the college level. BS/MS in Biology (Universidad de Sevilla) and MS in Marine Science (San Francisco State University, CA). Coordinator of the program "ECUSA in the Schools" for DC metropolitan area, promoting STEM education.